How do you sell a photocopier? How do you sell a photocopier? That was the question I was faced with this morning as I met with Gary one of my new clients. He works as a salesperson for Konica Minolta one of the world’s leading photocopy manufactures. As we sat across from each other this morning over coffee and orange juice he unfolded to me the highly competitive and lucrative world of photocopies. It was amazing to consider that one sale for him could often mean as many as 300 machines. That could easily be half a million dollar deal in his world. But that world is highly competitive with companies like Ricoh, Xerox, Cannon and others all fighting for the business. To most people and unfortunately to many of his customers a copier is just a copier. A lot of the features that you’d think might wow someone from a technological point of view often are really not that important. All of trouble sales people in this world encounter come right down to fighting for the best pricing… that is unless you understand How to sell a photocopier. 1) Build strong personal relationships. Prospect buy and stay loyal to those they connect with on a personal level. If all other factors are generality he same prospects will always buy from the person they like the best. So focus on connecting with your prospect beyond the photocopier. What is it you have in common and how can you deepen those connections. 2) Shift the value from the product to the service and support. Although a product may be similar in the eyes of the prospect the level of support and service will not be. If the prospect feels supported, understood and cared for they will gravitate to that security. 3) Add additional value. 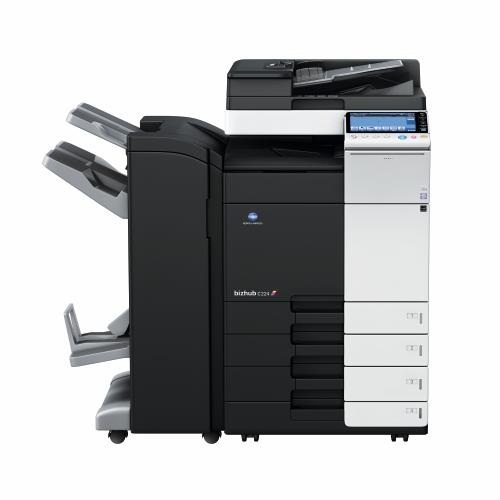 Even if the pricing on the copier is similar between competitors what else can be added to give greater value. Can you bonus paper or products to highly valuable orders? Can you gift service calls? There are a number of things that you can do. When products are competing on price the best thing you can do is change the rules of the competition. The thing that wins the most business in this circumstance is creativity. What can you do that your competitors are not yet doing. Closing the sale and asking for the money is generally the hardest thing for most entrepreneurs, insurance agents, financial planners, real estate agents, mortgage brokers and well, just about anyone has to do. But unless you learn how to effectively ask for the money or the deal all of your preparation, prospecting and presenting will be a waste of your time. At the end of the day the only thing that gets you a pay check and keeps you in business is your ability to ask for the sale. So why is this so hard for some people? 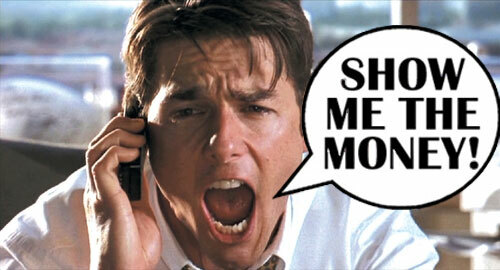 Why has this moment in the sales process become the most feared and dreaded? Why is it that most sellers become nervous and perplexed and call this the #1 challenge they have with sales? Simple. Because they don’t know how to transition. That’s the biggest mistake. What is a transition? Let me explain in a simple way. Most people know that customers buy emotionally and back it up logically. The transition is that point in the sale where you shift from the emotional to the transactional or logical. Most people have a really easy time with the emotional because generally speaking we love the products and services we sell. We find it easy to be enthusiastic and valuable at this stage of the sale. But we also know that we need to eventually ask for the deal and most of the time nobody likes talking about money. In most peoples minds talking about money is very different than talking about our business. We love our business. We are attached to our business. We have our feelings and ego invested in our business. We do not feel the same way about money. When we approach money it represents acceptance or rejection to us. Because it is indeed an “ask” it becomes a test to see if we have done a good job in demonstrating value. If the customer says NO then we feel we may have failed to some degree. Much of this failure to close comes not from a lack of value but from a lack of effective transition. Take a look at your current sales process, do you have a transition? Do you recognize your transition points? Too often sales people try to avoid objections thinking that any objection reflects a flaw in their product or presentation. Quite the opposite is true. An objection is a signal that your prospect is considering a purchase. Think about it: Why would you ask a question if you were not interested. We’ve all seen sales situations that went this way. The prospect nods their head to every comment or question you make and then ends with “Let me think about it.” They had no objection because they were not really interested. You don’t need polite listeners – you need Customers! Customers are interested enough to ask questions and raise objections. A great exercise I ask my students to do is take a little time and jot down the top 10 objections that they run into and find good answers. When you have that figured out memorize it and be prepared. Let’s talk about Brazilian Jiu Jitsu! By the way that’s me in the back row. The short guy in the middle in black. 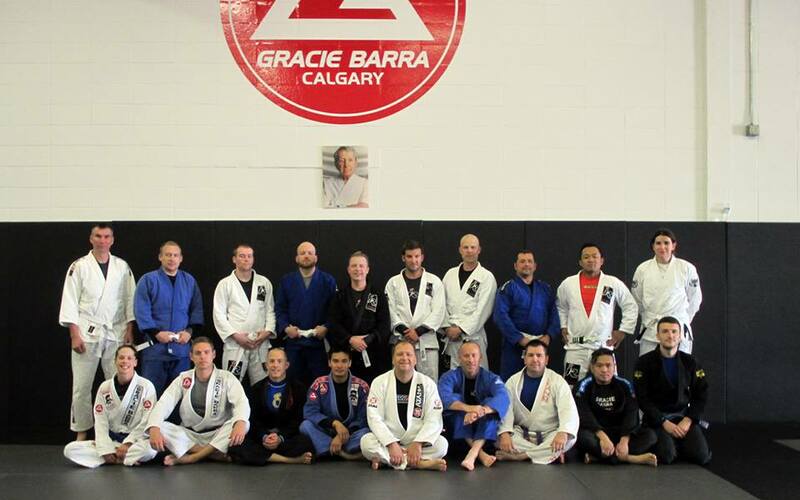 One of my favourite sports is Brazilian Jiu-Jitsu. One of the most important things for a BJJ practitioner to learn is how to escape. In fact, when I first started it was important for me to become competent in a variety of escapes from a variety of positions. The more competent I became at my escapes the less I feared being trapped in a new position. In fact, I began to allow myself to be pulled into certain positions because I knew that my escape would open opportunities for me to gain advantages that were not presently available to me. The same can be said of objections when you prepare for them you won’t fear them. Instead you’ll recognize them as doorways to opportunity. 3) Lastly, a big mistake a lot of sellers make is that they do not recognize their buyers PEAK buying state. There is a point in all effective sales processes when the prospect reaches a buying peak. It is the point at which they are ready to buy. That’s when it’s time to stop and ask for the deal. Too often novice sales people miss these buying signals and they keep talking. What happens often is the prospect fatigues and decides not to buy or new concerns and considerations are raised and the prospect looses their excitement. Time is precious and when a prospect is ready we must allow them to purchase. Be sensitive to their needs and wants. Let them guide the sales process and spend less time presenting.